Examples are found in franchises for Elderly Care, Child Development, Education, etc. As well as being commercial businesses, they have the potential to do a great deal of good. So, for example, a Child Development business will help in Early Years Development, building confidence in the child and engaging parents in the activities. I have identified a number of such franchises and they are presented here on this website. I've only shown those franchises that are full or associate members of the British Franchise Association (bfa) and that have more than 10 branches i.e. the more established ones. 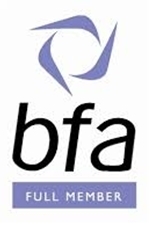 Other franchises are available and these can be found on the bfa website. Franchises in each sector have been grouped as shown in the top menu. Each group has an explanation why these franchises have social impact. So if you want to run your own business and also create social impact, there may be something here that you may wish to investigate further. Profits can obviously be taken but they can also be used to offer to subsidise services to disadvantaged people. For example, reduced fees for places at sessions for children e.g. a sports franchise. We hope the information on this site helps you. Please also register for email updates. Note: Impact Franchises does not receive any income from any franchise. This is a voluntary service signposting possible careers and businesses for those with a heart for social impact who wish to investigate how they could do this in a sustainable way. We hope the franchises presented here give you some ideas. The perceived advantages and disadvantages of franchising are analysed. In 1977, the major franchise companies in the UK decided to set up their own association. The British Franchise Association (bfa), was formed to act in the interests of the industry as a whole in assessing and accrediting franchising companies. Impact Franchises is a not-for-profit organisation which promotes businesses that can do a great deal of social good through their operations. Please sign up for email using the form. The following statistics are from the NatWest/British Franchise Association(bfa) Franchise Survey 2016. Contribution to the UK economy £15.1bn. People employed 621,000. Number of businesses 44,200. Impact franchises are commercial franchises that have social impact beyond that of job creation. Examples are found in franchises for Elderly Care, Child Development, Education, etc. A franchise is the granting of a license by one person (the franchisor) to another (the franchisee), which entitles the franchisee to trade as their own business under the brand of the franchisor, following a proven business model.